Diamonds and Pearls Masquerade Ball, Lake Mirror March 7, 2015. 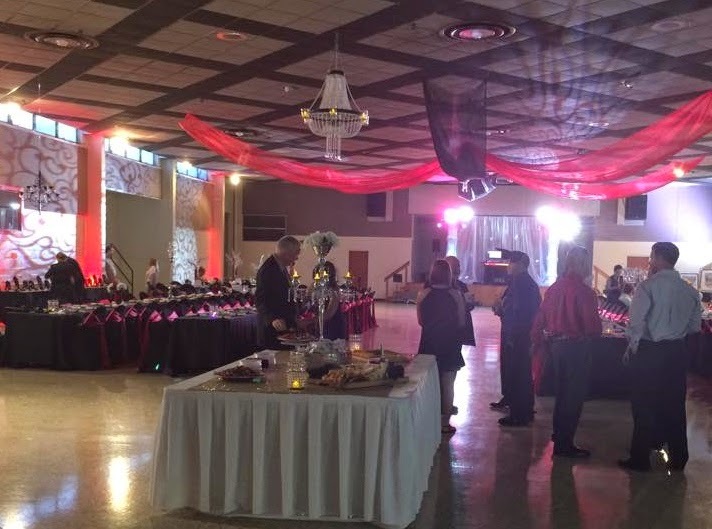 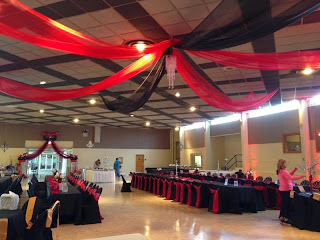 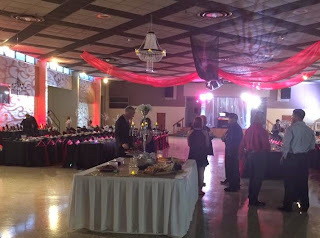 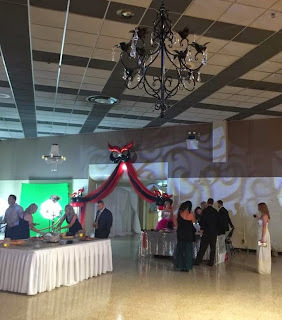 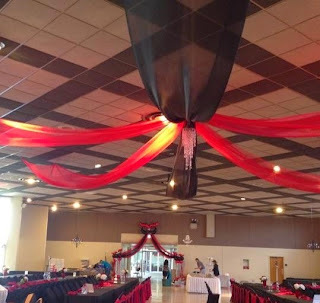 Party People was hired to create elegant ceiling and entrance decor. 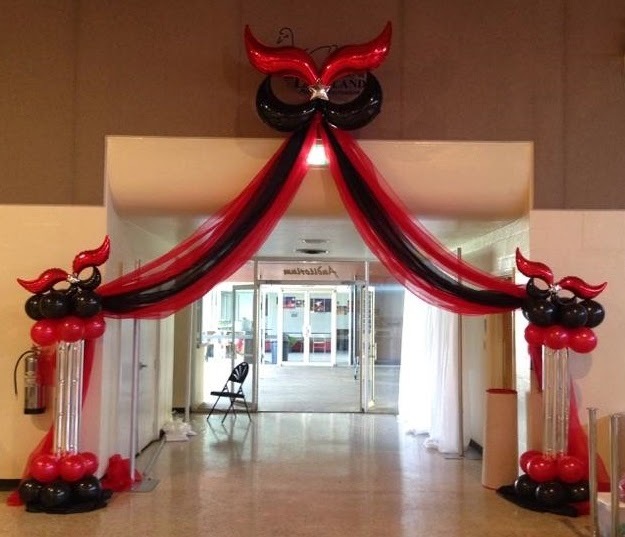 Foil Mask Arch and Organza Ceiling Canopy by Party People. Call Party People 1-800-752-3650 ext 2 to have us create custom decor for your Event in Central Florida.